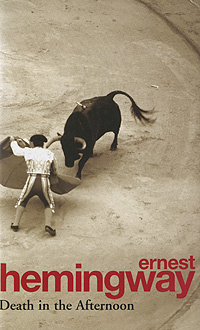 A fascinating look at the history and grandeur of bullfighting, "Death in the Afternoon" is also a deeper contemplation on the nature of cowardice and bravery, sport and tragedy, and is enlivened throughout by Hemingway's pungent commentary on life and litrature. Seen through his eyes, bullfighting becomes an art, a richly choreographed ballet, with performers who range from awkward amateurs to masters of great grace and cunning. Формат: 11 см х 17,5 см.